All Curling Club member curlers, whether competitive, recreational or rental league participants over age 12 are required to pay $15 per person to join CURLSASK. The CURLSASK fee, collected by the Club, also provides membership status with Curling Canada (CC). Note: Each year CURLSASK pays the Curling Canada (CC) fee direct to Curling Canada (CC) on behalf of the Curling Club. The Curling Canada fee is $2 per curler (individual membership fee). Therefore, the CURLSASK fee is broken down as follows: $13 – CURLSASK, $2 – Curling Canada. For more information on CURLSASK & Curling Canada fee’s, please click here. Curling Canada has developed a program that is designed to help clubs manage their member registration, as well as collect league fees, CURLSASK and Curling Canada fees all at once. The program is called Curling Inside/Outside (Curling I/O). 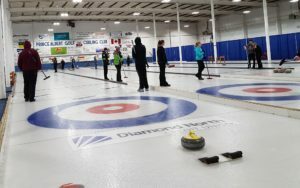 The simplest way to describe the program is that it is a website that curling centres can use so that their member curlers can sign up for leagues and other events like bonspiels as well as pay the club/league fees in one spot. The website is designed to be able to handle the varied ways that curling centres manage their registration. This information is then stored in a secure database which the curling centre can then access for their centre’s business. For more information on the Curling I/O System click HERE. 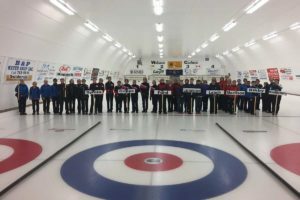 The Curling I/O program has a lot of potential and CURLSASK encourages clubs to use it. However, we are aware that it may not be practical for all clubs to switch to this new system. Therefore, the CURLSASK Board has determined that Curling Centres will have the option to use the new Curling Canada I/O or submit the annual CURLSASK Membership Fee as they have in the past. Curling centres are asked to decide if they would like to join CURLSASK through Option 1 or 2. Curling Clubs will not be able to do a combination of both options. They will have to choose one or the other. Individuals will only have to pay the CURLSASK/Curling Canada fee once even if they play at more than one club. Option 2 – Curling Club/Establishment is assessed based on its Membership numbers. Curling Clubs will collect the $15 fee on behalf of CURLSASK and will submit along with a Club Membership List and the CURLSASK Membership Form to CURLSASK by December 15th. A Curling Club will be considered a CURLSASK Member Club (affiliated) upon receipt of a completed CURLSASK Membership form, Club Member List and fees. It is recommended that Club Members under the age of 12 are listed on the Club Membership List, as they will be counted in the Club’s total Membership for the year, but they are not required to pay the $15.00 fee. For those clubs that open in January or start new leagues in January, an updated list or another Member List and dues are to be submitted by January 31st. If Club Members have paid the $15 fee at another Curling Centre, they are asked to notify CURLSASK for reimbursement. CURLSASK Club Membership – Online Fillable Form HERE. Note: Above form may be completed online, saved on your club’s system and printed for submitting to CURLSASK. The Associate Member Fee is $300 per organization. 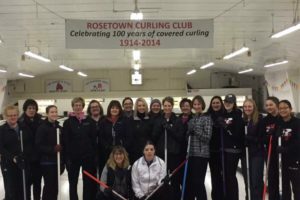 In addition, the $15 per member fee is charged to those individual members, over age 12, of the Associate Member who are not currently player members of an Affiliate Member Curling Club, if any. CURLSASK Associate Member Online Fillable Form HERE. Note: Above form may be completed online, saved on your system and printed for submitting to CURLSASK. Membership reporting is important to the development of curling in the province. 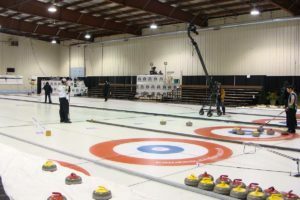 CURLSASK is required to submit annual membership information to SaskSport, the provincial funding partner, in order to be eligible to receive annual funding. As a result, each Club and Associate Member are required to submit annual membership lists to CURLSASK in order for CURLSASK to remain eligible for this funding. It is also how CURLSASK will be able to determine how to focus on programs that will benefit our members. Receipt of the Membership Form, Membership List and fees is the process that affiliates a Club each year. For reporting to CURLSASK feel free to use one of the template forms below to report the required Membership information. Download the form (Microsoft Excel format) or contact the CURLSASK Office to have one emailed to you. If your Club submitted a Member List last season, contact the CURLSASK Office to have that list emailed to the person responsible for updating your Member List. Membership lists are due by December 15th each year. If your Curling Club is considering the option to affiliate with CURLSASK, then take a few moments to review the numerous benefits associated with membership. CURLSASK is here to serve all clubs and organizations whether they have a competitive focus or are more community or recreational focused. The most compelling benefit for the vast majority of clubs is the availability of the Membership Assistance Grant (MAP) that provides monetary assistance for club projects and development. In some cases, that MAP grant provides more funding than the cost of the CURLSASK membership fee that clubs submit to affiliate with CURLSASK. Keep in mind, however, that Clubs must be a CURLSASK Member to apply for AND receive any approved funding the year following. In other words, Clubs must be a CURLSASK Member Club for at least 2 consecutive years. To assist with the decision to affiliate, feel free to contact one of the CURLSASK Board Members, the Region Coordinators for your area or a Staff Member at the CURLSASK office.